It’s the clear-cut frontrunner, even if I enjoyed other movies on this list more (“Birdman” especially, but also “The Theory of Everything” and “The Imitation Game”). I’ve seen every movie on the list, but I have no doubt Richard Linklater et. al will be standing on stage at the end of the night. I just hope his speech doesn’t take 12 years. This is the category from which I have seen the fewest films, but all signs point to Julianne Moore winning this in a landslide. I really enjoyed Rosamund Pike in “Gone Girl,” and would love for her to get some recognition for the movie as a whole, but this is Moore’s to lose. Another category from which I’ve seen all the nominated films. I disliked “Foxcatcher” and “American Sniper,” though I think Carrell and Cooper did the best that they could given the material and the physical transformations they were asked to make. I think the Brits will cancel each other out, leaving Batman/Beetlejuice/Birdman to take home the award. “Birdman” was my favorite movie of the year, so I have no problem with Keaton’s win here. 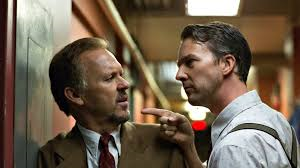 I’m surprised Laura Dern was nominated, though I think she was very good in “Wild.” I liked Emma Stone in “Birdman,” especially the scenes between her and Norton, and when she chews out Michael Keaton’s deadbeat-dad character. But this is Arquette’s award to lose. I know that Linklater won the Golden Globe, and that “Boyhood” is a triumph of direction staged over twelve years. But “Birdman” was the most inventive movie I’ve seen in years, due in no small part to the direction (the long takes!) of Inarritu. My gut says Academy voters will see that, too. Not a real stand-out amongst this crowd, which has to make you wonder – where is Gillian Flynn’s nomination for adapting her own novel into a wonderful “Gone Girl” screenplay? I am also surprised Nick Hornby didn’t receive recognition for his “Wild” script. Wouldn’t be shocked if Wes Anderson took home this award, but again, given how creative and different “Birdman” was, I think Inarritu et. al deserve this. 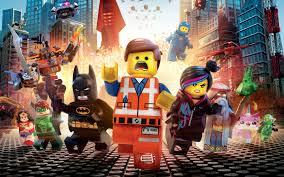 Although Chris Lord and Phil Miller deserved a nomination for “The Lego Movie” screenplay, but that’s neither here nor there. Voters can’t be blind to the most important film of 2014. They just can’t. And I refuse to support any other movie, or believe any other film will win this award. As for the other awards, those are fun for office Oscar pools, but I’m not interested in them, and, let’s be honest, you’re not interested in my prediction for best Documentary Short Subject. So let’s leave it at the major categories. 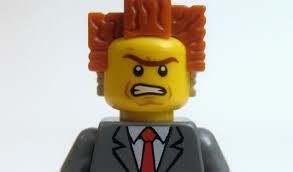 Is everyone else as disappointed as I am about “The Lego Movie”? Other than “Best Actor,” are there any acting prizes that have any drama (pardon the pun)? Let me know in the comments. This entry was posted in Awards, Comedy, drama, Movies and tagged Academy Awards, alejandro gonzalez inarritu, alejandro inarritu, american sniper, benedict cumberbatch, bennett miller, big hero 6, Bill Hader, birdman, boyhood, Bradley Cooper, eddie redmayne, Edward Norton, emma stone, ethan hawke, felicity jones, foxcather, gone girl, grand budapest hotel, how to train your dragon 2, imitation game, inarritu, inherent vice, into the woods, j.k. simmons, jenny slate, julianne moore, keira knightley, kristen wiig, laura dern, Lego, marion cotillard, mark ruffalo, meryl streep, michael keaton, morten tyldum, nightcrawler, obvious child, one night, Oscars, patricia arquette, reese witherspoon, richard linklater, robert duvall, rosamund pike, selma, skeleton twins, song of the sea, steve carell, still alice, the boxtrolls, the grand budapest hotel, the imitation game, the judge, the lego movie, the oscars, the tale of princess kaguya, the theory of everything, two days, wes anderson, whiplash, wild by jacobsjj1982. Bookmark the permalink. Well done. Well thought out. I haven’t gotten to my picks yet. Michael Keaton just one a critics choice award whatever that is so he might be a lock too. I’ll send you mine soon. Love how you write.